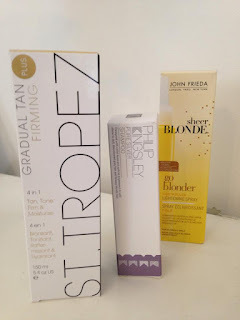 After yet another Feel Unique purchase I thought it was a good opportunity to start investing in products slightly more summer related as the sun is starting to shine more frequently. St Tropez is definitely my go-to brand for tanning - I have tried a LOT of different gradual tanning products which usually tend to leave my skin streaky (not a good look). 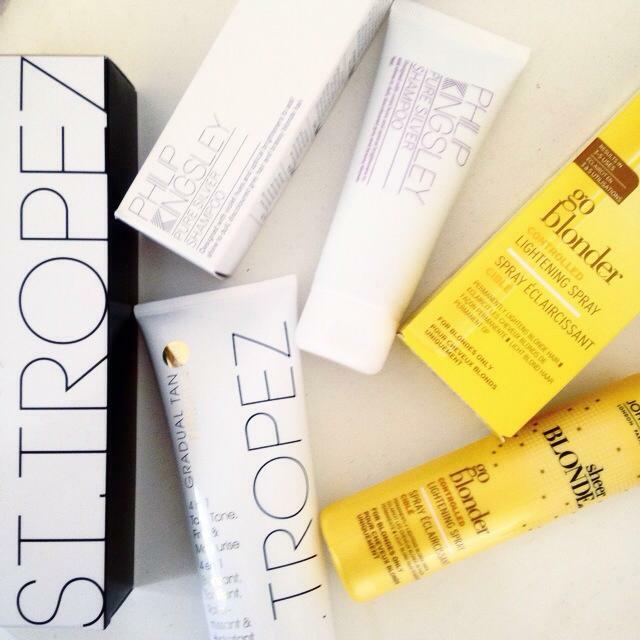 I find St Tropez products give the best shade on my skin, I am very fair so some of the gradual tanning products go a strange-orangey tone, whereas these give a much browner shade when they develop. Although I am not entirely sure if the product actually 'firms' your skin, the tan itself definitely gives a much more flattering look to your skin. 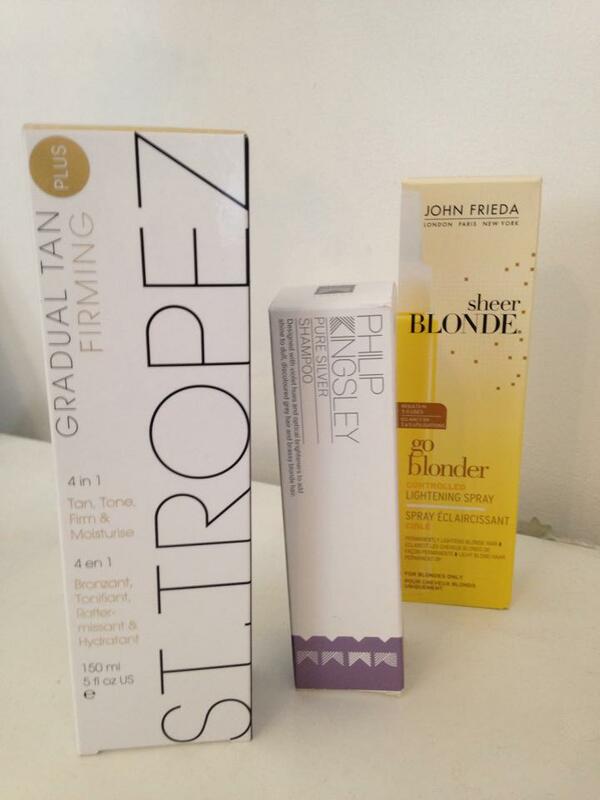 I prefer this tan to the original St Tropez gradual tan - this one comes out a yellowy colour opposed to the white lotion of the original. It is a great moisturizer and really easy to apply as it does not have a thick consistency. I would definitely recommend you give this tan a go if your skin is not working with the lower budget gradual tanning products in high street shops. After winter my hair has been looking really dark and drab recently - especially at the roots - and I have been reluctant to use any lightening products as they either tend to not work at all or make my hair very brassy. When I saw the reviews of this lightening spray I thought I'd give it a go as on the whole it had really positive results. It is really easy to use after washing your hair, spraying generously all over before blow-drying. The spray goes quite quickly, probably lasting around ten uses, but you can visibly see the lightening after about four uses. So far so good - my hair has not lightened to a brassy shade but a nice, light blonde. It is such an affordable product and it's gradual nature means no dramatic hair disasters like you get with hair dyes. I have been keen to try the Philip Kingsley brand for ages now as it is so popular, and silver shampoos are something I use all year round to try and get the brassiness out of my hair. I usually use the Touch of Silver Twice a Week shampoo which is a much more affordable version of this, but the Philip Kingsley shampoo is meant to boost moisture in your hair as well. I love how these shampoos actually made a visible difference to the tone of your hair after only a few uses. They are especially great for when you have just dyed or had highlights put into blonde hair, and in the winter when blonde tones darken a lot. I need to try that silver shampoo as well. I have naturally blonde hair, but I go in to get highlights to brighten it up.